On Sunday, March 13, 2011, please join us as we gather for the 22nd time to raise money and awareness for this important cause. Every step we take will help AFH and other HIV/AIDS service organizations provide housing, testing, prevention education and other assistance to thousands of Houstonians living with or at risk for HIV/AIDS. Before the actual Aids Walk on the 13th, there will be a Silent Auction at the Starbucks Coffee at Montrose Blvd. and Hawthorne St. (3407 Montrose Boulevard, Houston, TX). This will be taking place Saturday March 4th, 2011 from 5pm-9pm. 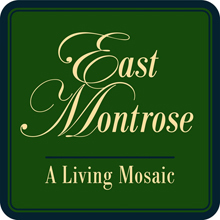 Come out the 2011 East Montrose Home Tour & Art Walk on April 16, 2011 from 10-4pm. There will be 5 homes, ranging from traditional bungalow to magnificent mansions. Plus 10 art studios open so you can see the space where art takes form, and the people whose hands create it! Restaurants will be offering a discount for tour goers so be sure to show flash your tour brochures for a deal.